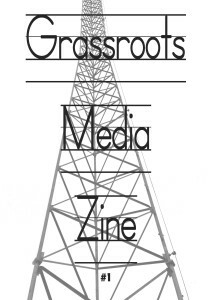 We produced a ‘zine’ (small homemade magazine), and I am glad to show you the first copy of the “Grassroots Media Zine”(GMZ). 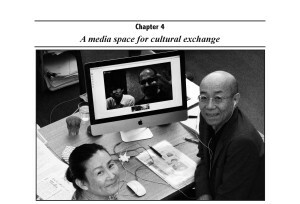 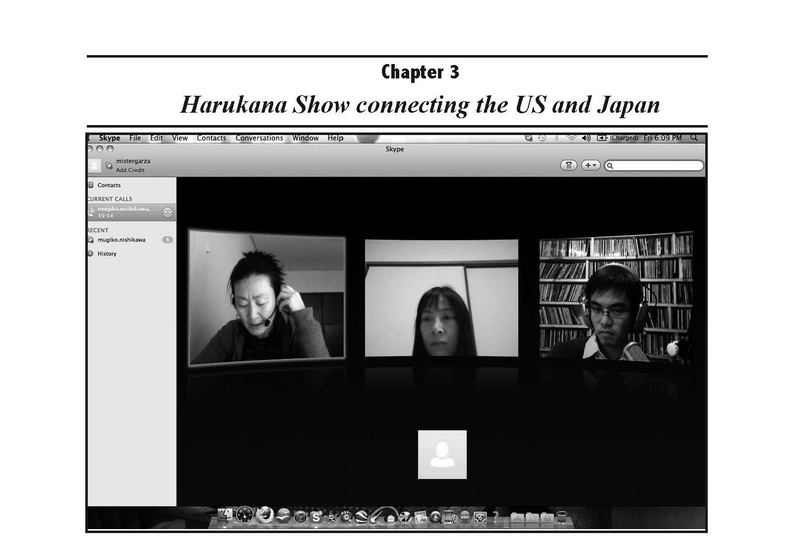 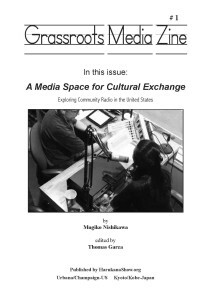 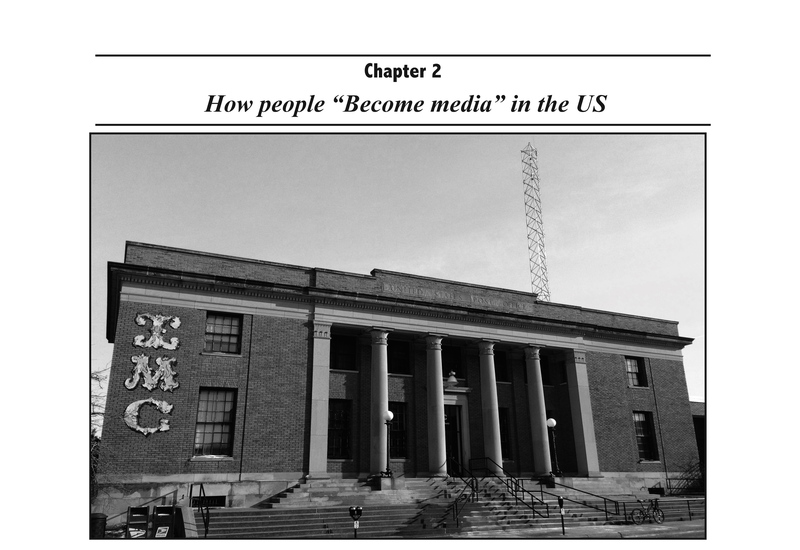 The first Issue is “A Media Space for Cultural Exchange:Exploring Community Radio in the United States”. 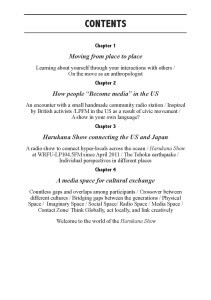 The author is Mugiko Nishikawa, a host of “Harukana Show” and a professor of cultural anthropology, at Konan University, Kobe, Japan. 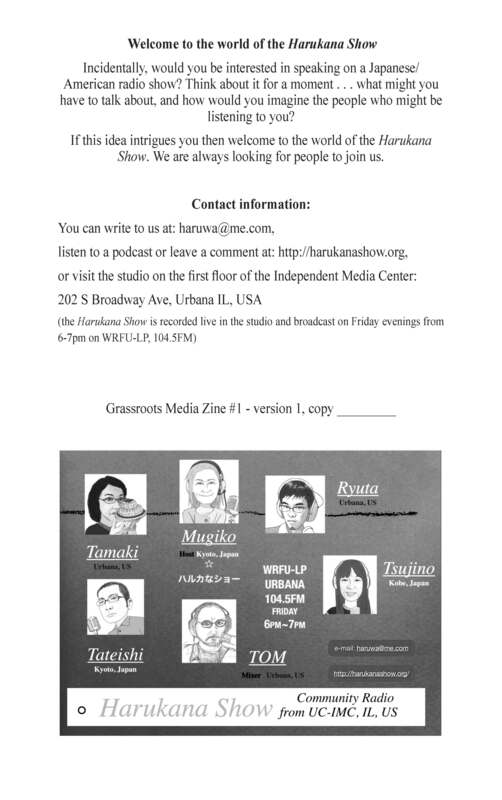 The editor is Thomas Garza, engineer of “Harukana Show” and also a host of “Triple R”, and “the 11th Indian”, from WRFU-LP, and the director of PACA(Preservation and Conservation Association of Champaign County). 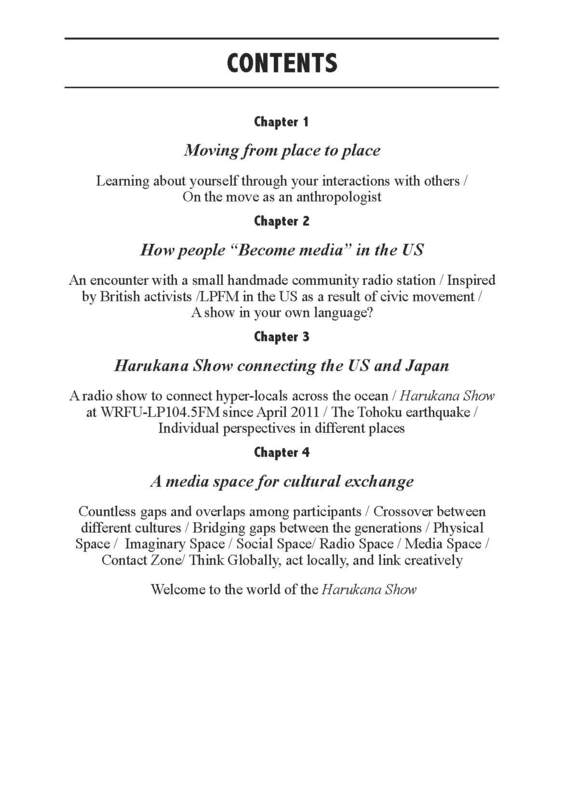 Through Mugiko’s research in community activities in Hammersmith, London– at present and the ones that took place in Notting Hill in the 1960s — Mugiko learned that “media” was very important for grassroots activities, and she got the chance to put the idea of “grassroots media” into practice through her connection with the community radio station in the US. 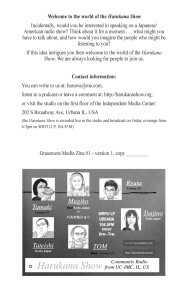 We uploaded 2 sizes of GMZ#1, one is half-letter size (to print out double pages in a letter size, ex. 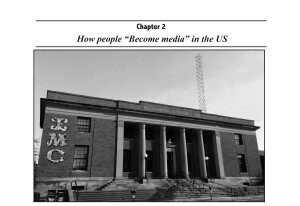 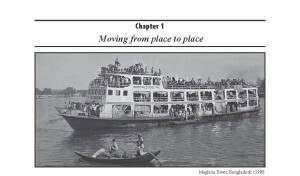 in USA, ) and the other A5 size (to print out double pages in a A4 size, ex. in Japan and UK) . 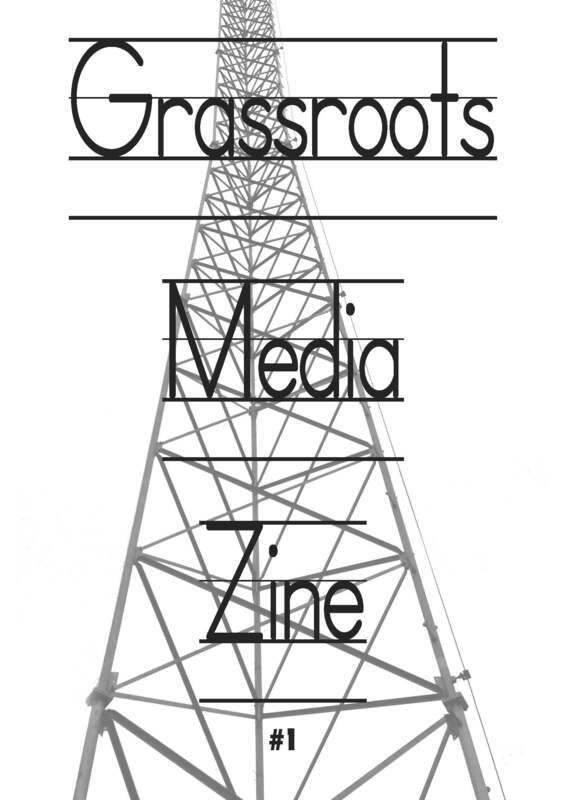 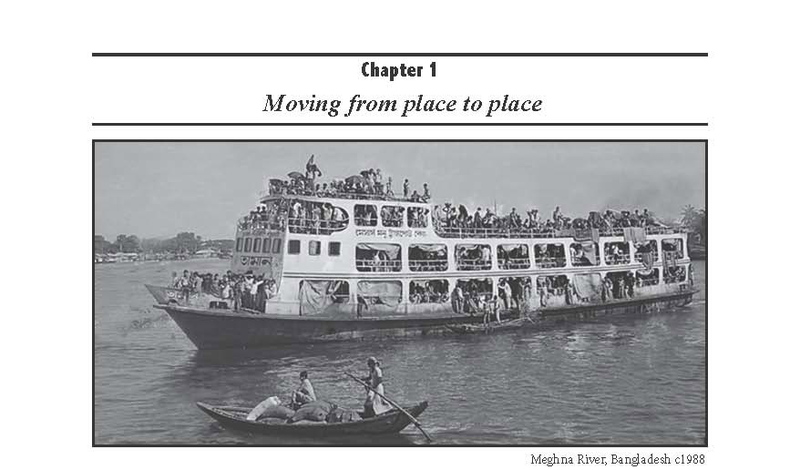 We also uploaded the recording of each of the 4 chapters of the Zine read by Mr.Garza so that you can enjoy the zine by looking, reading or listening.